If you have enjoyed the music enrichment sections of our grade-by-grade Enrichment Guides, you will love our new supplement devoted exclusively to music. 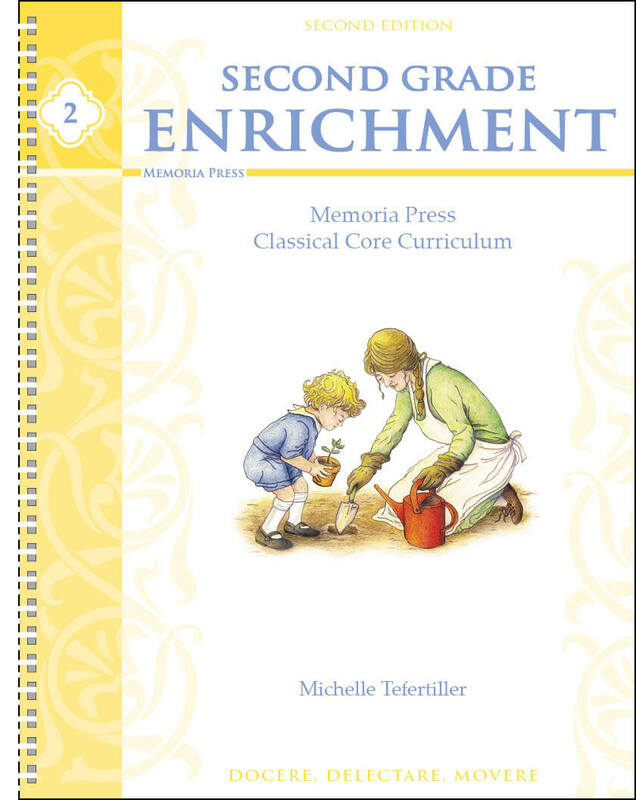 For each piece of music scheduled weekly in our Kindergarten, First Grade, and Second Grade Curriculum Manuals, Music Enrichment gives a short backstory on each piece and biographical information for its composer, as well as a few questions for discussion about the music being studied. Teach your child more about what the song is about, interesting facts about the instruments used in the song and how they work together, interesting aspects about the song’s structure, and why the composer wrote it. Purchase of this book also includes links to Spotify and Youtube playlists where you can listen to the selections we have chosen, as well as iTunes links if you would like to purchase them. Included in our Complete Kindergarten Curriculum and used through Second Grade, Music Enrichment begins fostering an appreciation for and understanding of classical music in young listeners. Each week includes a classical piece, an explanation of the work, and questions for discussion. We provide links to the complete selections for YouTube, iTunes, and Spotify on this page. Patrick Fata is a pianist, composer, writer, and educator. He studied at the Conservatoire National de Région de Rueil-Malmaison in Paris, and at Huntington and Butler Universities in Indiana, where he specialized in piano performance. Patrick began composing primarily for piano, but is now focused on chamber and orchestral music, and has also written and recorded five albums of worship music with his wife, Amy. 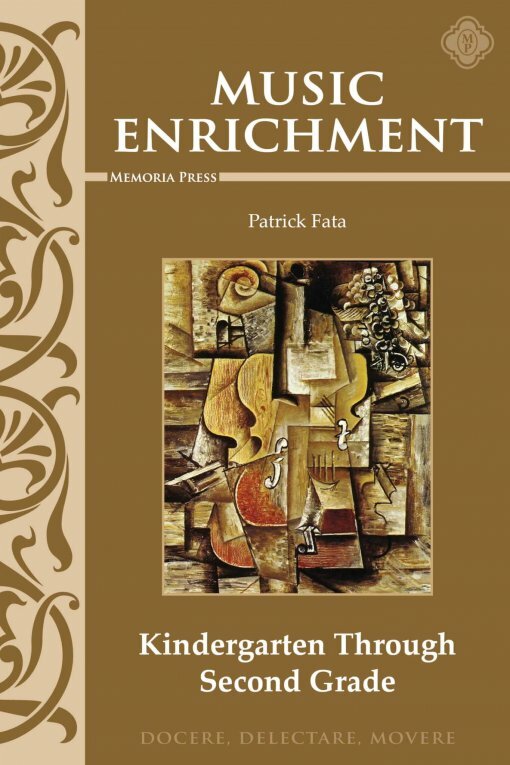 Patrick is developing curriculum for Memoria Press that combines music history and theory to expand students’ understanding and appreciation of classical music. Having this guide was very helpful because all the information was in one book and I didn’t have to look it up each time. However, most of the concepts were too difficult for the kindergarteners and 1st graders. Perhaps this book can be used for older grades and a simpler version can be made for the K-2 children? Excellent guide! We use this with our whole family! (9 of us) It has made us love classical music even more than before! I love the biographies, the summary of the songs, the questions used to get you think about the songs. Very well done!